Mimi and Tony Lively have launched San Diego County's first and only BMET training program. Mimi and Tony Lively—a spousal team—share ownership of a company, a passion for healthcare technology management (HTM), and the business acumen to get things done. Over the past year or two, they’ve deployed their talents to launch a certificate training program for biomedical equipment technicians (BMETs)—the first and only BMET training program in California’s San Diego County. The first class of 13 students at MiraCosta College's BMET Certificate Program graduated 11/29/18. The next class begins in January 2019. The program is includes 486 contact hours plus homework and internship. Students are encouraged to participate in CMIA for networking and training; you may have spotted some of them at a meeting or conference. Tony Lively, President, ZRG LLC, an Oceanside, CA-based company that handles electronic device recycling, concurs that "education and outreach towards greener products and services" remains a challenge. He calls for a universal buyer's guide dedicated to those products and services as well as "better access to sustainability engagement coordinators" as potential solutions. Lively acknowledges the "push in many vertical markets, including healthcare, to be more sustainable marketplace," and mentions the internet accessible EPEAT rating system for "greener electronics" as an effective online product research tool for lifecycle and disposable information. Yet simple economics should impact prices over time, he added. "I think as new (green) products roll out, there is a higher initial start-up cost, but as the products become more recognized and purchased the manufacturing costs will come down, " he noted. June 22, 2017 -- ZRG is excited to announce their relocation from Carlsbad to Oceanside California. The woman owned company grew out of its Carlsbad facility and moved into a larger location in Oceanside, California. New, additional offices and a larger warehouse provide ZRG with the much needed space it needs for the booming business. ZRG is a dedicated supporter of the biomedical community. It's President, Tony Lively, is Chairperson for the California Medical Instrumentation Association. ZRG's CEO, Mimi Lively, is currently developing San Diego County's first Biomedical Equipment Technician Certificate Program through MiraCosta College's Workforce Development. 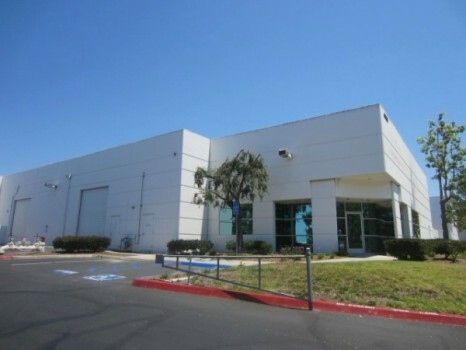 ZRG, LLC, an asset management company specializing in the acquisition, sale, and donation of surplus medical and laboratory equipment, has relocated from Carlsbad to Oceanside, Calif. The move will provide ZRG with additional office and warehousing space, according to company officials.